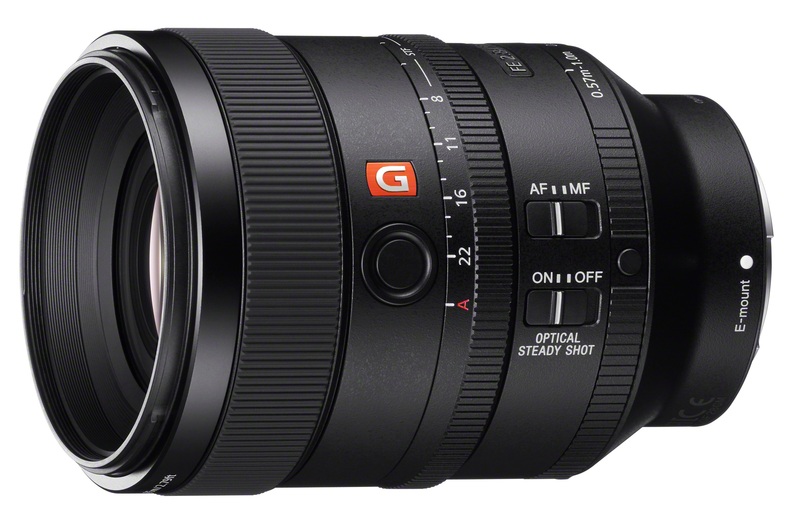 Sony has just introduced 2 new lenses to the FE lineup for E mount cameras. Let's start off with the new high end Sony FE 100mm F2.8 Gmaster OSS lens which brings the highest ever quality bokeh for an alpha series lens. This lens incorporates their new STF (smooth trans focus) design and 11 aperture blades to allow smooth bokeh while preserving lens sharpness. Commence drooling of every portrait photographer. Look for availability shortly this March and a price of $1,500. Next on the list is a more budget friendly 85mm option. 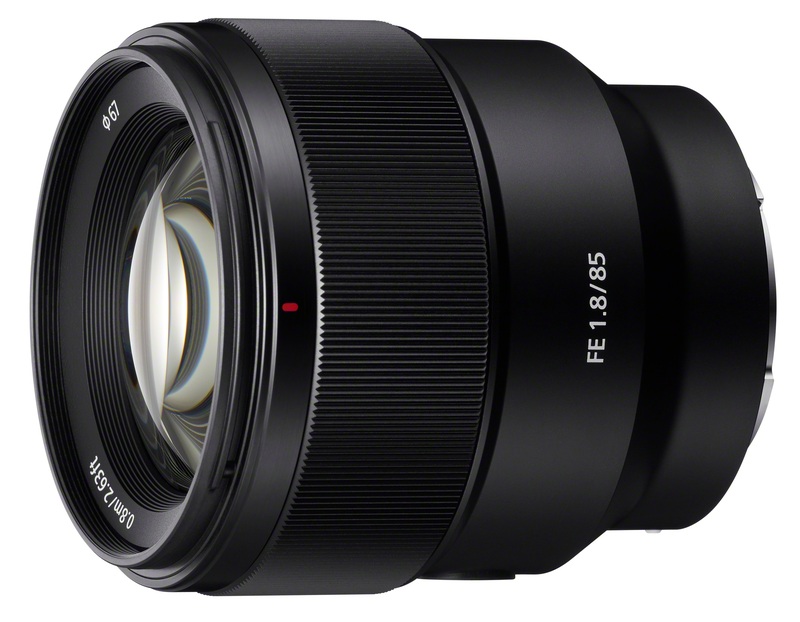 The Sony FE 85mm F1.8 is lighter and more compact than the more expensive Sony FE 85mm F1.4 Gmaster and allows a more budget friendly option and better fit for APS-C cameras as well as full frame. While still offering dust and moisture resistance, it is only 13oz and 3.25" long. The lens also features a quieter AF motor and should hold up better with these new higher resolution cameras. Expect availability in march at a more reasonable, but still high, $599. LAS VEGAS, Feb. 7, 2017 - Sony Electronics, a worldwide leader in digital imaging and the world's largest image sensor manufacturer, has today introduced two new lenses for their popular line of E-mount interchangeable lens cameras. Sony's new lenses include one of their flagship G Master Series - an FE 100mm F2.81 STF GM OSS mid- telephoto prime lens (model SEL100F28GM) built to deliver breathtaking bokeh with a unique STF™ (Smooth Trans Focus) design, and a new compact, lightweight FE 85mm F1.8 mid-telephoto prime lens (model SEL85F18) that is a welcome addition to the bag of any hobbyist or enthusiast photographer looking to create amazing portraits. They have also introduced a new powerful, compact flash (model HVL-F45RM) with radio-controlled wireless communication that is ideal for professional shooting with Sony's lineup of α7 full-frame cameras. A specially designed mid-telephoto, full-frame prime lens, the new 100mm STF is built to produce truly unique, magnificent and beautiful bokeh while maintaining the exceptional standard of resolution that is showcased by Sony's entire line of flagship G Master series lenses, making it a powerful photographic tool for any portrait, fashion, nature or wedding photographer. These impressive defocus capabilities are made possible by the lens' advanced optical structure, as it features a newly designed 11-bladed aperture and a unique optical apodization lens element. Similar to a neutral density filter that increases in density towards the edges, the apodization element creates beautiful transitions of in-focus to out-of-focus areas within an image, making for exceptionally soft, smooth bokeh that adds depth and dimensionality. This allows the subjects to stand out against beautifully defocused elements in both the foreground and background, producing an image that is naturally pleasing to the eye. The design of the lens also ensures that vignetting is kept to an absolute minimum, ensuring optimum image quality. Additionally, the new 100mm lens supports both contrast AF and focal-plane phase detection AF2, and has a high-precision, quiet direct drive SSM (Super Sonic Motor) system that ensures exceptionally fast and accurate AF performance. The SEL100F28GM also offers up to 0.25x close-up capabilities with a built-in macro switching ring, built-in Optical SteadyShot™ image stabilization, a customizable focus hold button, AF/MF switch, aperture ring and more. It is dust and moisture resistant as well3. The new prime lens features a 9-bladed circular aperture mechanism that ensures smooth, natural looking bokeh, and a double linear motor system to allow for fast, precise and quiet focusing. It also has a focus hold button that can be customized and assigned together with functions in the camera body like the popular Eye AF feature. There is a smooth, responsive focus ring and AF/MF switch as well, and the lens is also dust and moisture resistant 3. Sony's new HVL-F45RM flash enhances the radio-controlled lighting system capabilities of their growing system, offering a compact professional shooting solution when combined with the currently available wireless remote controller FA-WRC1M and receiver FA-WRR1. The new flash, which is designed to complement the compact bodies of Sony's E-mount camera lineup including full-frame α7 models, produces a maximum lighting output as expansive as GN45 4. This ensures sufficient illumination even when shooting with bounce lighting or high-speed-sync (HSS) flash. The radio capabilities of the HVL-F45RM allow it to be used as a transmitter or a receiver at up to 30m (approx. 98 feet5), making it an ideal fit for creative lighting with multiple flashes. Additionally, unlike optical flash systems, radio-control flashes do not require a direct line-of-sight between components to function properly, while also minimizing any impact that bright sunlight has on signal transmission and control. The HVL-F45RM flash has an impressive battery life of up to 210 bursts, and can tilt up to 150o vertically, a complete 360o horizontally and up to 8o downward to maximize versatility. Usability has been maximized with a new large, bright and highly visible LCD display, an LED light, dust and moisture resistant design3 and a revamped menu system that mimics those of Sony's newest camera systems. Both of the new lenses and the new flash unit will ship to authorized dealers throughout North America. The new FE 100mm F2.8 STF OSS GM Telephoto Prime Lens will ship this March for about $1,500 US and $2,050 CA. The new FE 85mm F1.8 Mid-Telephoto Prime Lens will ship this March for about $600 US and $800 CA. Replacement lens hoods for each of the new models will also be available for purchase as well. The new HVL-F45RM flash will ship this May for about $400 US and $550 CA.